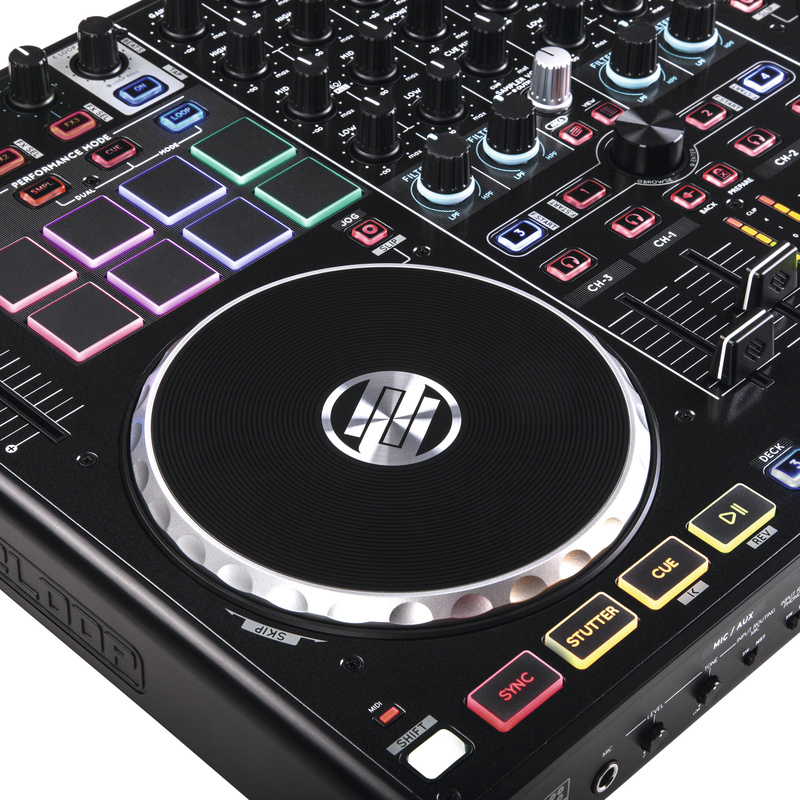 Reloop has developed a 4-deck pad-based performance controller designed to work intimately with the popular SERATO DJ software. 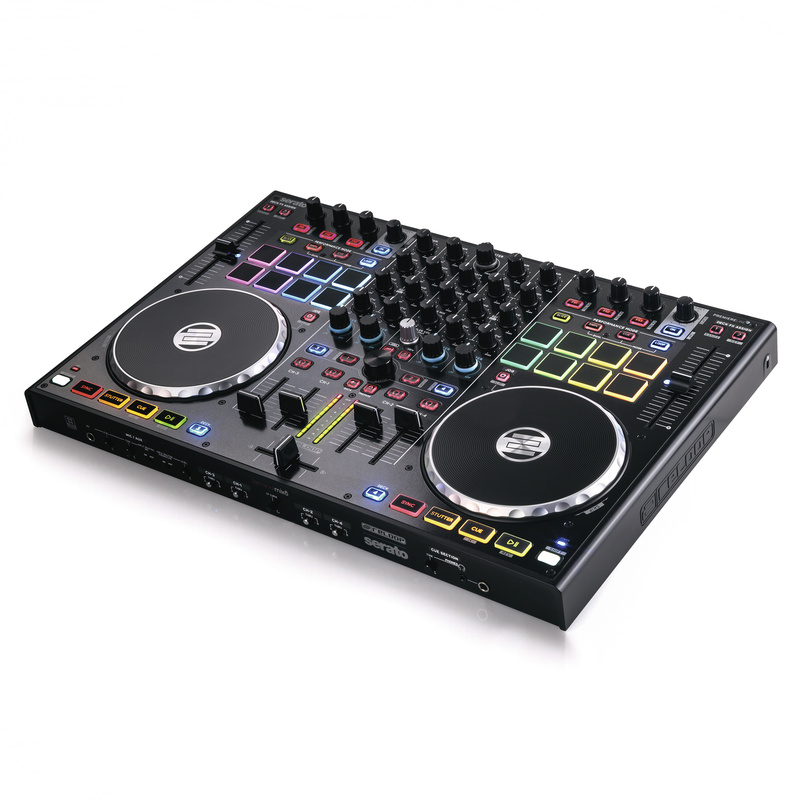 The controller was developed in close cooperation with Serato, and it responds to the requirements of professional club DJs who want to offer spectacular live performances with creative effect manipulation and unique controllerist possibilities. 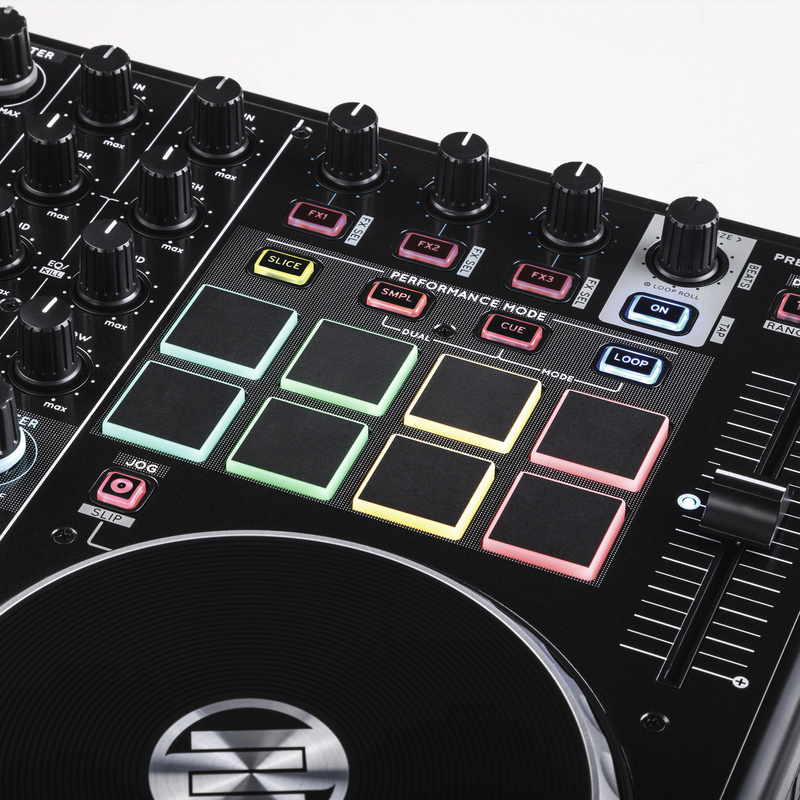 Endorsed with the same premium features and build that have made Terminal Mix controllers instantly recognisable around the world, but expanding on its forbears thanks to a sophisticated performance section with touch-sensitive multi-colour drum pads, the Terminal Mix 8 is a true whiz kid. The centerpiece of the Terminal Mix 8 is the clearly laid-out and intuitive PAD performance section, where 16 touch-sensitive RGB drum pads can be used to trigger cue points, loops, samples & a slicer effect. The Slice and Loop modes allow creative re-arrangements on the fly. 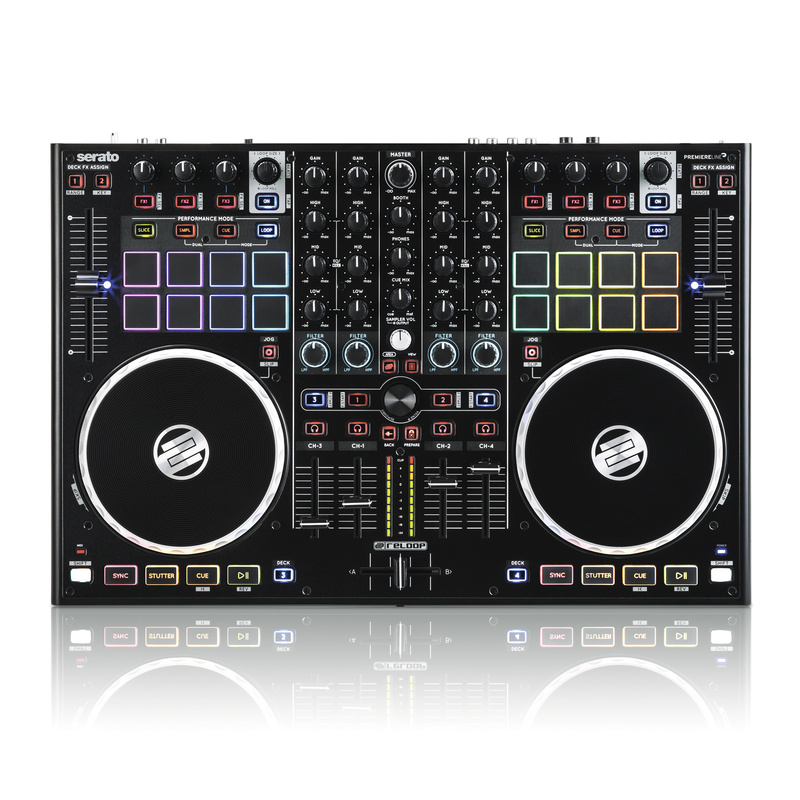 With the Slice button activated, the playing track will be chopped up into 8 equal parts that are distributed across the respective drum pads – offering DJs quick access to on-the-fly musical mash-ups. In Loop mode it is possible to store and trigger up to 8 loops with varying lengths. The loop lengths can be determined in real time by the dedicated loop size encoder for fast auto loops and loop roll effects. 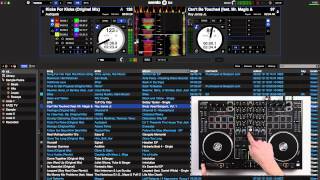 In addition to this, all banks of the mighty Serato DJ SP-6 sampler can be easily accesed and intuitively triggered with the Terminal Mix 8, and 8 cue points per track can be stored and triggered in real-time. 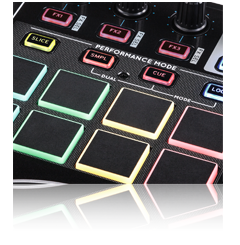 The colour-coded pads allow visual feedback regarding status and selection of the selected performance mode, so even in dark club surroundings DJs can easily distinguish which mode they’re in. In DUAL mode 2 modes can be combined for an even more advanced show. By activating this mode, the upper row of drum pads can be set for one performance mode, with a different selection applied to the bottom row. This means you could access the SP-6 sampler with the top row, while the lower row can access loops at the same time – opening up new realms of possibilities. The extensive effect section offers 3 rotary knobs, an endless encoder and 4 buttons, making it easy and intuitive to control the complete range of Serato DJ’s iZotope-powered effects. (FX-Engine by iZotope). 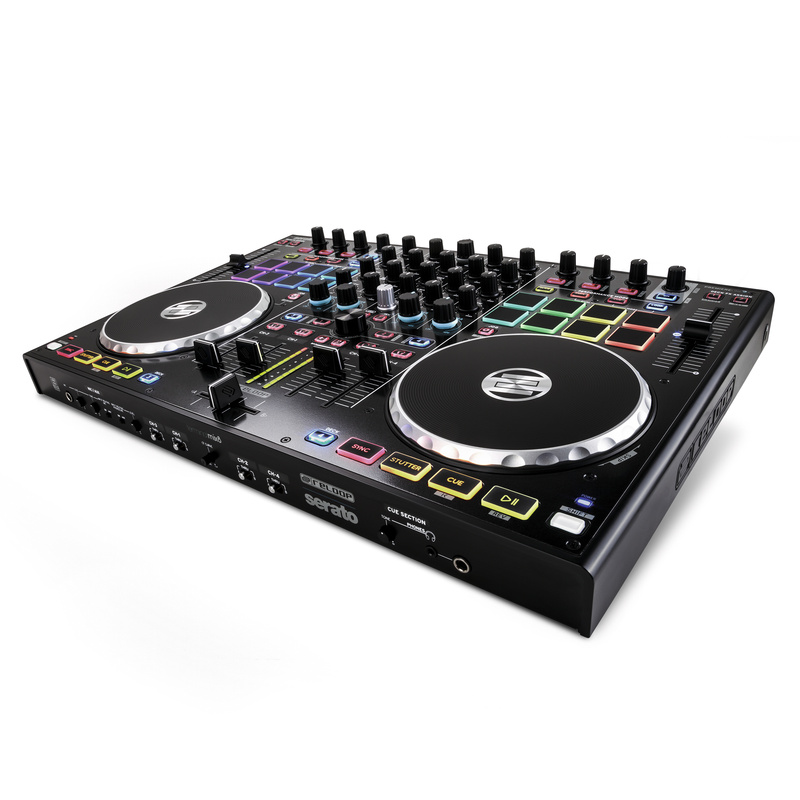 The clearly structured, ergonomically intuitive mixer/player design is ideally suited to a professional DJ’s traditional workflow, and offers new improvements on previous Terminal Mix models. The large, rubberized filter knobs on each channel enable especially smooth filter sweeps. 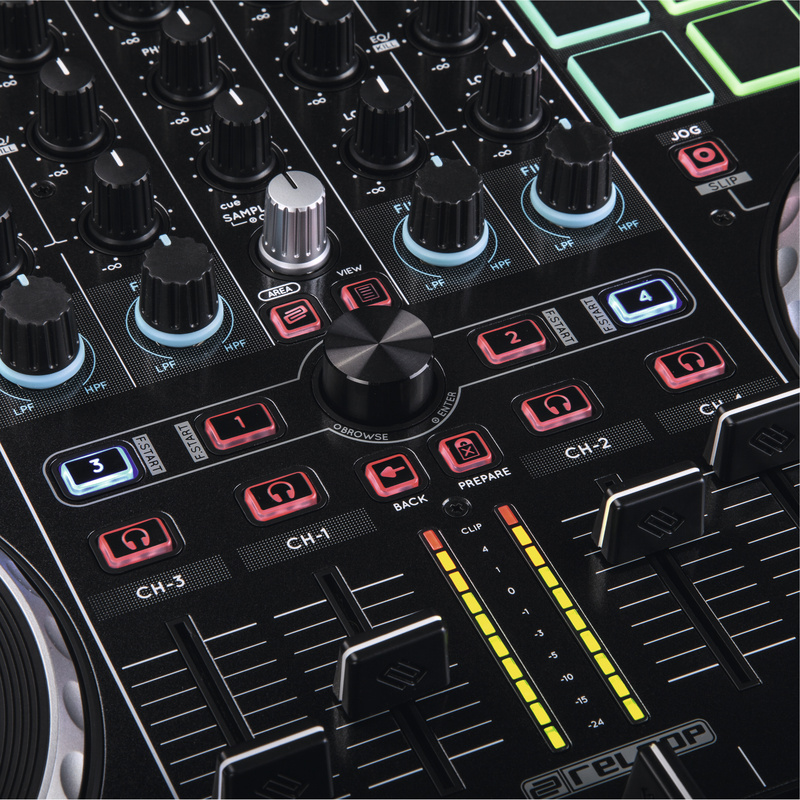 Smooth fades and hard cuts can be carried out effectively via the high-quality, club standard faders – including the adjustable crossfader curve and assign buttons on the front of the TM8. The unit is finished off with the same XXL high-quality quality jog wheels that are found on the scratch-friendly Terminal Mix 4. These 15.5cm diameter, anti-skidding vinyl surface jogs feature alongside the high-resolution 14-bit, 100 mm pitchfaders for precise beat matching and playback control. 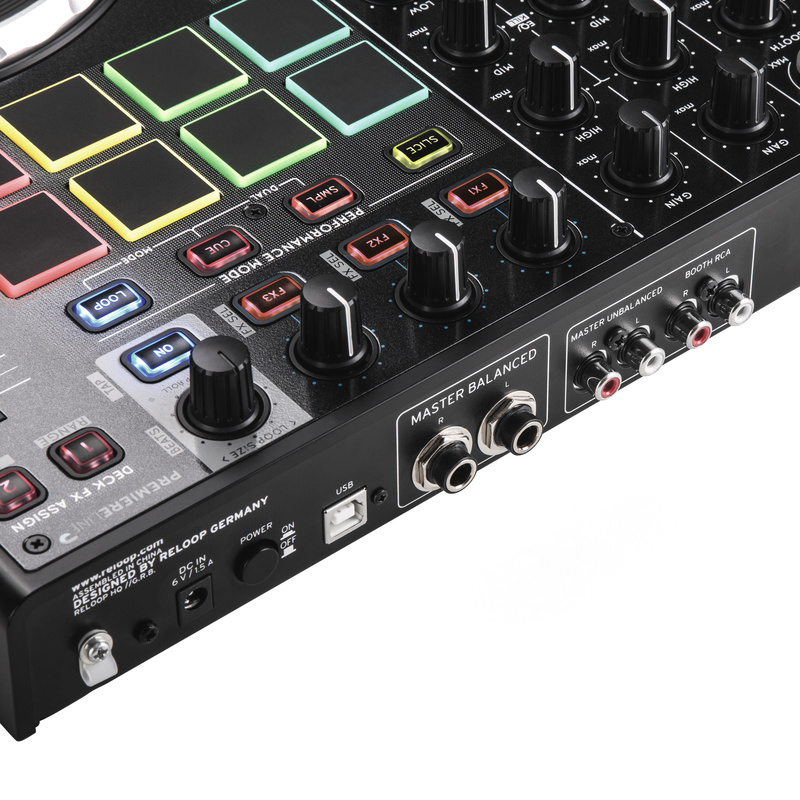 On the device's rear panel, the built-in audio interface offers sufficient connections to easily connect directly to any club, PA or home set-up. Via gain mixing it is also possible to perfectly adjust volume per track: the level meter is selectable for channel as well as master output. A mic connection with 1-band EQ and an Auxiliary input with flexible routing switch allows additional external sound sources to be routed through the controller as well. The Terminal Mix 8 comes plug-and-play-ready with the latest full version of Serato DJ. 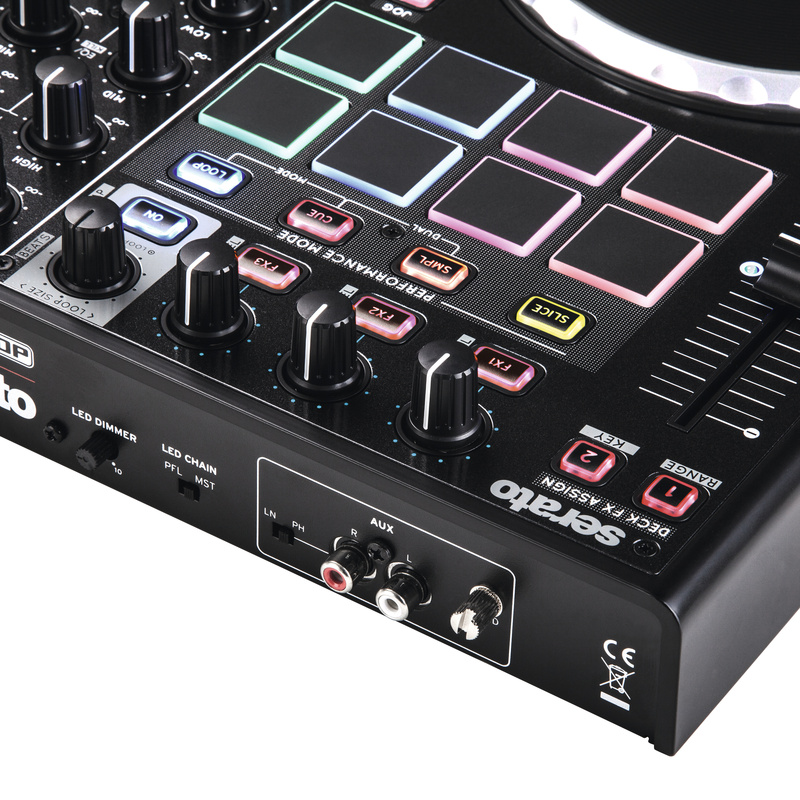 MIDI-ready: Compatible with every DJ software such as Traktor PRO 2 etc. Mit dem Terminal Mix 8 ist Reloop ein weiterer Geniestreich gelungen. Das Gerät glänzt durch eine große Auswahl an hochwertigen Bedienelementen, seinen übersichtlichen und robusten Aufbau sowie das exzellente Audiointerface. 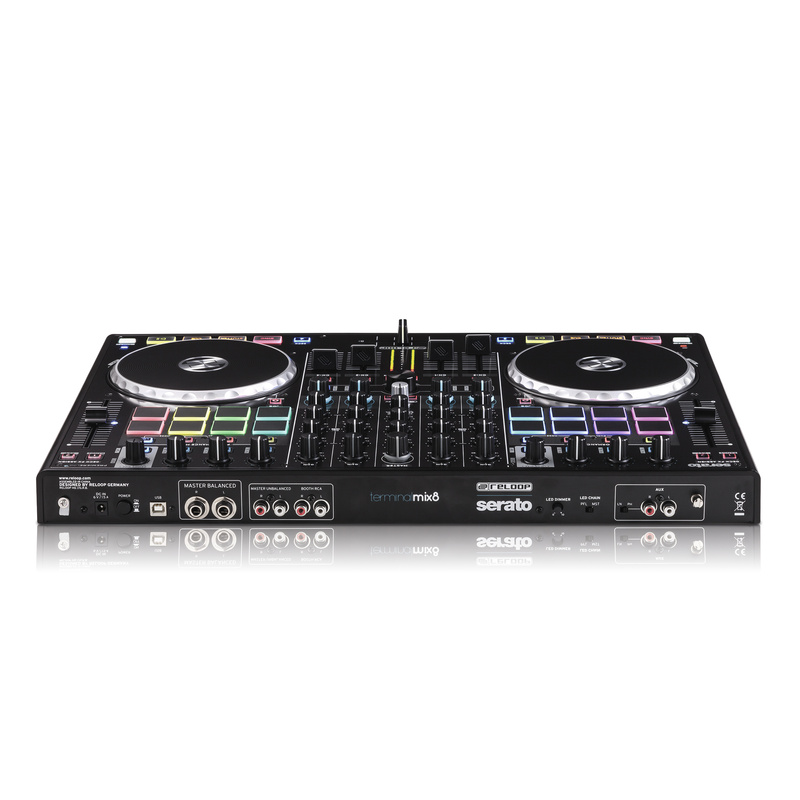 Da Serato DJ gleich mitgeliefert wird, kann man sofort nach der Installation mit dem ersten Set loslegen. Ein tolles Komplettpaket zum attraktiven Preis. ow tussen hardware en software. 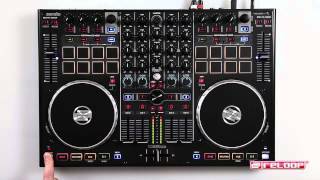 The Terminal Mix 8 DJ controller is disputably one of the best on the market that I have had experience of and should have some of the big boys unsettled. 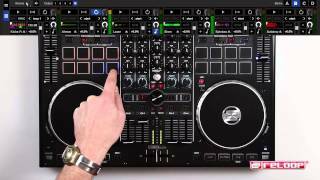 If users are looking for a well-built DJ controller for Serato DJ that won’t break the bank, then the Terminal Mix 8 should be at the top of their list. 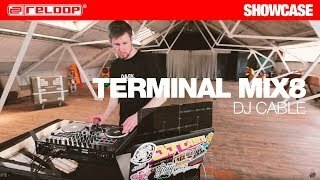 If you’re a Serato fanatic and are looking for an affordable and portable digital rig, the Terminal Mix 8 has almost all the bells and whistles you’ll ever need on a controller with four decks, good build quality, performance pads, and an included version of Serato all for a reasonable price. If you’re looking for a well-constructed Serato DJ controller that won’t break the bank, then the Terminal Mix 8 should no doubt be at the top of your list. 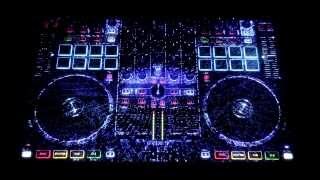 The performance pads are spectacular, and in my opinion, great for DJs at any level in their career. [...] The Terminal Mix 8 has incredible sound quality. © 2019 Reloop. All Rights Reserved.